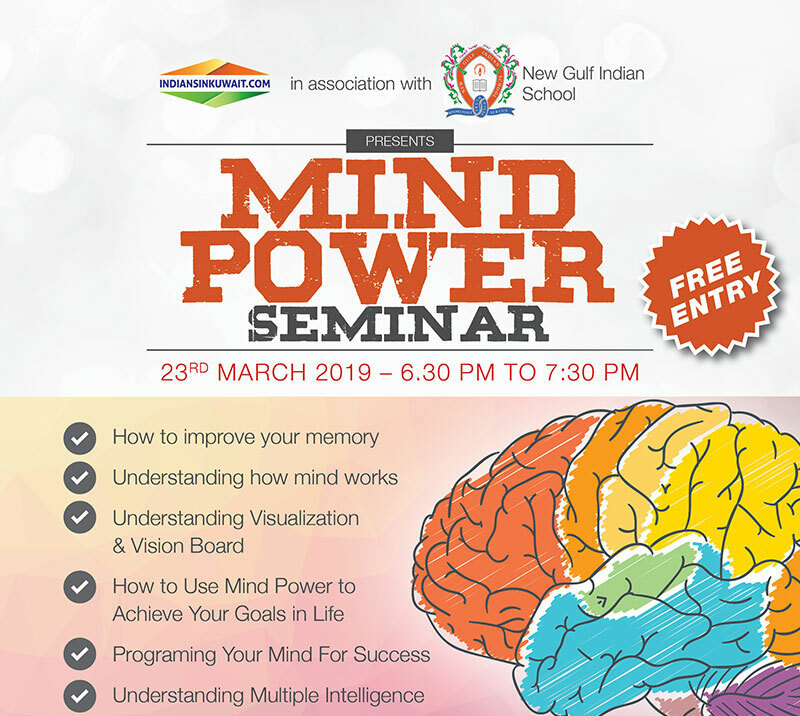 The seminar will be conducted at New Gulf Indian School, Mahboula, Kuwait. The timing of the Seminar is from 6:30 PM onwards. Through this seminar one can know Visualization, about Vision Board, Memory Improvisation, Achieve Life's Goals, Mind Programming, and Multiple Intelligence. The audience will realize their true inner potential, learn how to deal with challenges and roadblocks that may come up on the path of goal achievement and become truly unstoppable. Indian Students 12 years and above along with parents can attend this seminar. 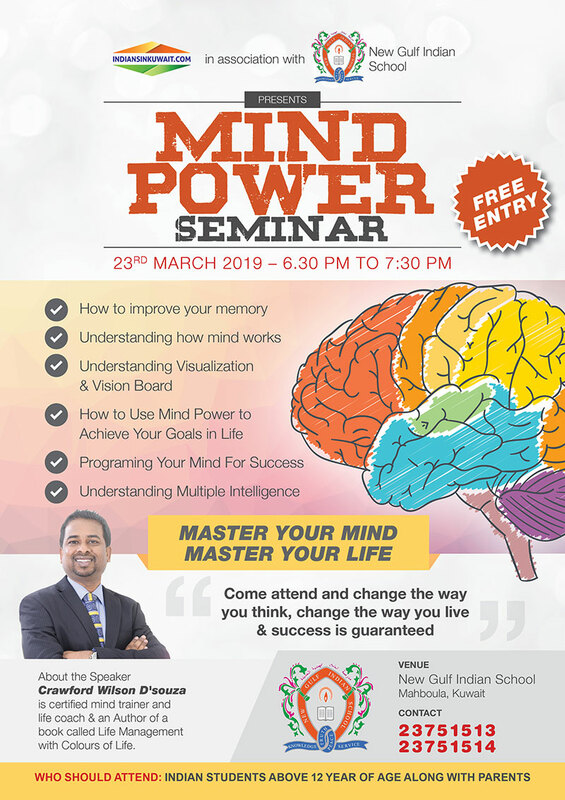 Seminar will be conducted by certified mind trainer and life coach Crawford Wilson D'souza. He is a Motivational Speaker, Certified Mind Trainer, Life Coach & Corporate Coach . He was trained under Dr. Jitendra Adhia, (who is an internationally renowned Mind Trainer, Motivational Speaker). He is also a Certified Yoga Trainer from QCI (Govt. of India) & a Certified NLP Practitioner from NLP Center, New York, USA .He is also the author of the book titled "Life Management with Colours of Life".